Eco-fabric is fabric made by Greenyarn that contains nano-particles of bamboo-charcoal. Eco-fabric's bamboo-carbon nano-particles comes from 4-5 years old Taiwanese Moso Bamboo (Phyllostachys heterocycla pubescens) that is grown naturally in the Jhushan, Taiwan (bamboo mountain). All our products with the Eco-fiber trademark will contain nano-particles of bamboo-charcoal. Though the proportion of Eco-fabric in our products will vary according to product type, the general rule is the higher the proportion of Eco-fiber, the stronger the effects of the benefits can be felt. 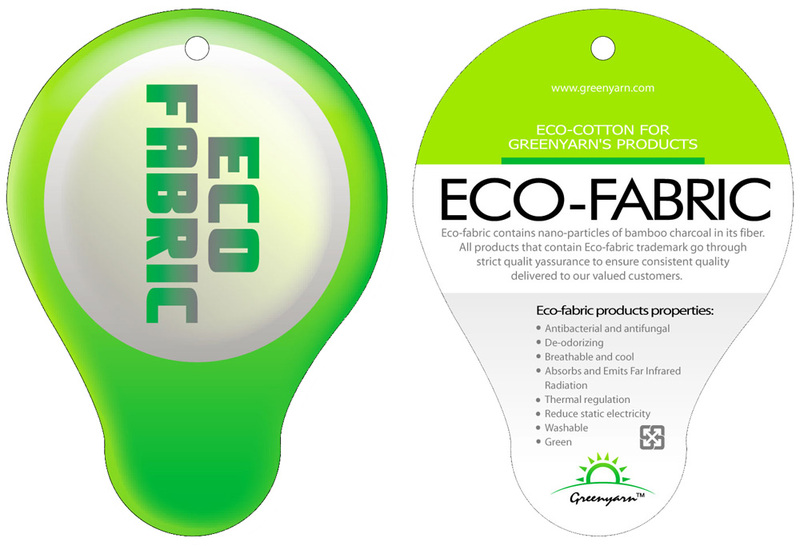 Greenyarn's Eco-fabric is manufactured in factories specially appointed by Greenyarn to ensure safety, sustainability in the process, and consistency in quality. The main difference in Greenyarn's Eco-fabric and other nano-technology fabric in the market is the assurance in the the safety in our products and the quality control. We have ERP systems in place to trace every process and materials used to its source, and we have a good quality control process to ensure the quality of our products. Greenyarn also tests the products at international test centers to ensure the stated benefits are present in our products. All test reports and other information can be found on the above links. All our products that contain the Eco-fiber trademark is manufactured under the strictest standards and quality is assured. For our raw material, we use only fiber, our product uses yarn with patent application no. 92132874 to weave into Eco-fabric. 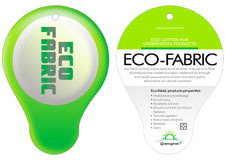 Accept no immitation, choose only Eco-fabric from Greenyarn.